Water supply to the city was proving a difficulty to the City Corporation in the later half of the eighteenth century. The City Corporation saw the completion of the canals as a way of supplying water to the city centre and reservoirs were built on the Royal and Grand Canals. With the construction of the Royal Canal in 1775, a spur was built to Broadstone, and the City Basin at Blessington Street constructed alongside. The basin was developed to supply water to the north of the city and supplied water to the two large distilleries of Powers (Thomas Street) and Jameson’s (Bow Lane). Redeveloped as a park in 1891 by Spencer Harty, when it was walled in, and the attractive lodge added. This is now one of the most unusual parks in the city, as eighty percent of the area of the park is water. The park can be accessed from Blessington Street, and the linear park which is now the former Broadstone spur of the Royal Canal, as well as a few quieter streets in the area. An artificial island has been developed in the centre to create a refuge for the ducks and swans who regard the basin as home. 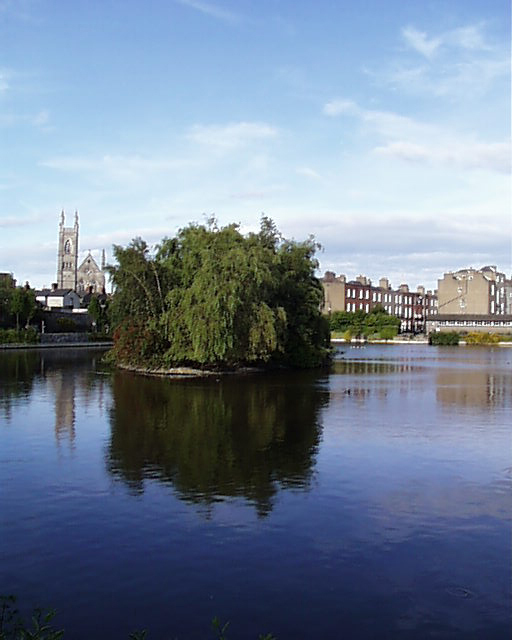 Blessington Basin is now an oasis of calm in the city, surrounded by high stone walls and lined with plants and seating.